On Saturday, I was photographing a new market called Maida Hill Market for Westminster Council it was an interesting day as I was to make the market look busy on its first day and it was reasonably busy, however I think I was busier making images as I photographed every stall, stall holder and documentary street style photographs of the event. Above is an image of my working looks like I am concentrating really hard on something, this was inside where I was having battery problems and the subject was standing in front of the window so it was not going so well at this moment so I am concentrating and thinking how to change exposures to deal with a very difficult situation. I did not want to have flare from the window ruining the image. 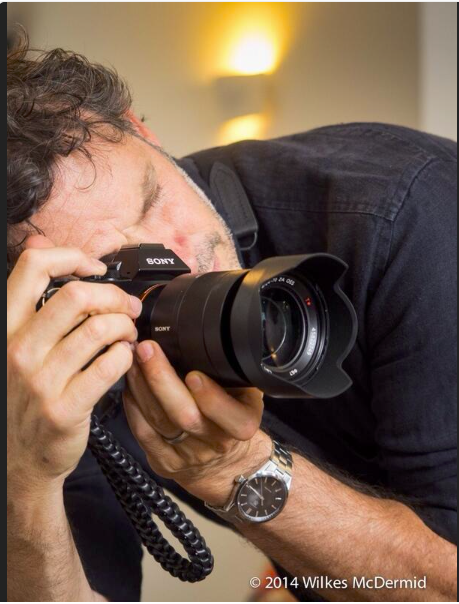 I am busy using a Sony A7R with a 24-70 Zeiss lens, Domke Web Strap and a wrist strap. You can’t see it but I am also wearing a new Domke Camera Bag which I have fallen in love with. More on this one latter in the week or next week.